Performing better from bottle than it did from cask, this blend of 76% Cabernet Sauvignon, 13% Merlot, and 11% Cabernet Franc has put on weight over the last year. 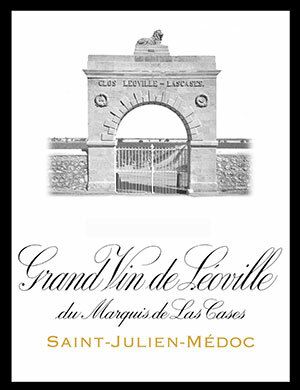 It exhibits the classic style of both Las Cases and St.-Julien in its deep black currant notes interwoven with sweet cherries, wet stones, and toasty vanillin. Made in a structured, medium to full-bodied style with superb concentration, beautiful purity, and admirable symmetry, this beauty is one of the strongest efforts of the vintage. Anticipated maturity: 2012-2028. Dark red, paling rim, youthful; dense, freshly ripe, aromatic, but undeveloped nose; rich, fairly full bodied wine, generous in fruit, with a fresh acidity and firm, fine tannin; both ripe and ‘gravelly’ in flavour, long across the palate, complex, aromatic, fine, and with excellent length; a complete, without being a grand, Las Cases. Needs time, will be very satisfying.